Still an apprentice at the FSA, Parks was directed by Stryker to first explore Washington, then a racially segregated city, without his camera in hand. He went to buy lunch and a new coat, and tried to attend a film, but as a black man, he was turned away each time. Think about your own experiences in your school, community, or city. What needs changing? Write an essay on this subject and using a camera, capture images that visualize the injustices you wish to call attention to. Early in his career at the Farm Security Administration, Gordon Parks was encouraged to consider how a series of photographs can tell a more complete story. 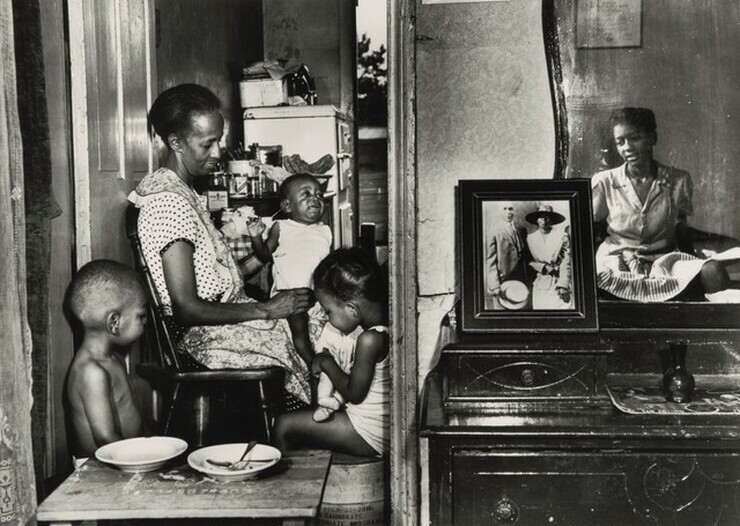 Using images of government worker Ella Watson and her family, split the class into groups and give each group one photograph from the series. Have each group discuss what story their particular image tells. Consider all of the elements of the photograph: subject matter, details, lighting, composition, perspective, and point of view. Next, bring the class together to share the photographs and stories discussed. How does seeing all of the photographs together reinforce or change the story each group developed? Discuss what new stories you can now tell and what other connections you can make. Try this exercise with other series in the image set. For instance, compare/contrast images detailing work of some kind. What do they say about labor in the United States? What can we learn about the nature of the American Dream? Or, compare/contrast Parks’s photographs of children. Why might Parks have focused on children in his work? What do photographs of children accomplish that his other images do not? 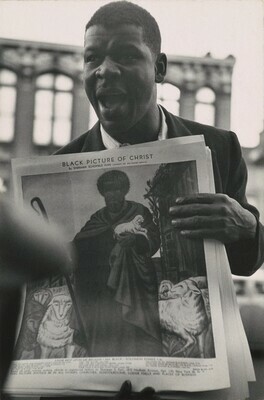 Gordon Parks and writer Ralph Ellison were friends and collaborators, simultaneously exploring through different means the daily injustices faced by black Americans. 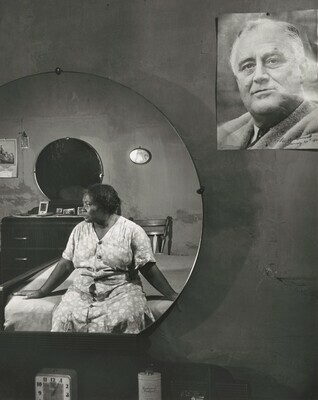 In 1948, Parks and Ellison walked the streets of Harlem together, photographing and writing about the connections between segregation and psychological health. Some of their findings were incorporated into Ellison’s 1952 novel Invisible Man, which explores themes of identity, community, stereotype, memory, and power through the voice of the narrator and his life experiences. Ask students to identify and select five key passages from Invisible Man that focus on the broad themes identified above. Ask them to select one or two images from the set of pictures that Parks made in Harlem that focus on the same themes. How did Ellison and Parks explore each theme differently? What did each choose to focus on? Ask the students to explain which creative work they find more powerful, the text or the image, and why.